In the United States, there are hundreds of thousands of people practicing “Plastic Surgery“; however, there are fewer then 10,000 Board Certified Plastic Surgeons. How Many Plastic Surgeons Are There in the United States? According to the less than aesthetic, American Board of Plastic Surgery home page, “The total number of ABPS Board Certified Plastic Surgeons since 1937 is now 8,521.” At John Muir Hospital in Walnut Creek, CA, we have a couple dozen. Incredible for a city with a population of 64,000, and that’s not including the Plastic Surgeons practicing at the Kaiser Walnut Creek Hospital. I am not talking about the availability of Botox on every corner, though downtown it is. While walking around downtown Walnut Creek last night, I noticed it is starting to look like Beverly Hills. 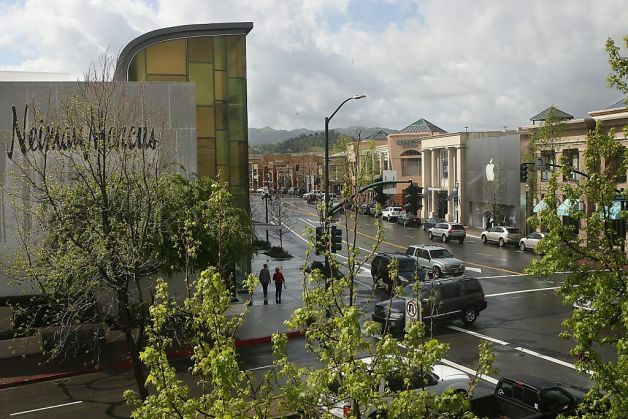 Nordstrom, Cole Haan, Eileen Fisher, Gucci, Kate Spade, Neiman Marcus, Tiffany & Co., Apple and Tesla Motors are all there, and the 62-year-old Broadway Plaza is “Having some work done” too. Soon, it will look more like Rodeo Drive rather than the Crossroads. 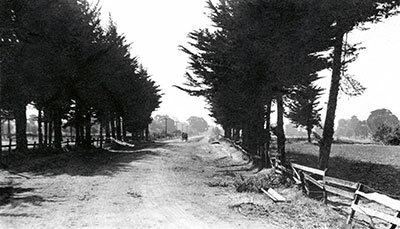 The Crossroads – South Main Street Walnut Creek, CA, looking north in 1849. The Modern Crossroads – South Main Street Walnut Creek, CA, looking south in 2014. The Broadway Plaza Renovation will take years. The quality of the renovation will be a combination of the materials and methods used. The primary determinant of the finish work depends on the experience and expertise of the craftsmen creating the new and improved space. The same can be said for Plastic Surgery. The final product is the result of careful planning and meticulous execution. We, plastic surgeons, cannot get all new materials, so our training and expertise are the most important components of achieving a safe and predictable result. The tools we use are important, but not as important as the hands holding them. For Plastic Surgeons, this is where Board Certification comes in. There are many people performing Cosmetic Plastic Surgery, but only a few are Board Certified Plastic Surgeons. Board Certification means your Plastic Surgeon has received the best Plastic Surgery training, continues to pass multiple examinations testing their skills and maintains a dedication to life-long continuing medical education. What I do to maintain my Board Certification can be found here: Board Certified by the American Board of Plastic Surgery.